Hello! 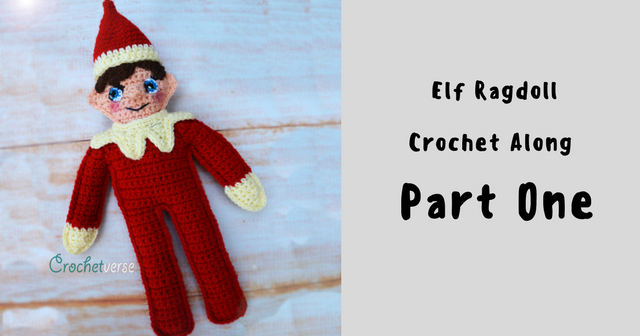 Welcome to the kick off of my FAST & FREE, not to mention cute as a button, Elf Ragdoll Crochet Along! Week One: HERE AND NOW! Week Two: Released 12/5/17 here on the blog! Now let’s get to Part One (Remember if you need supply info, scroll up and click to the “Supply Info Posting” linked above. About 9” wide mitten to mitten and about 15.5” tall hat tip to toes. You will work through creating one side of the body, then repeat through creating the second side of the body in the same manner. 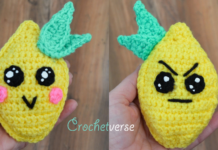 Then, you will crochet the two sides of the body together. Chain 1 at the beginning of row does not count as a st throughout. 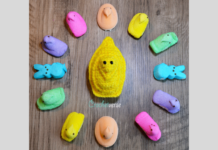 EARS: Work ears on each side of head on both body panels. Position the panel as shown in the photo, with the end tail from the last row of the head to the left. Join the skin tone yarn with a sl st around the side of the 6th row of the head counting up from the 1st row of skin tone you made (it is JUST below the widest point of the head). 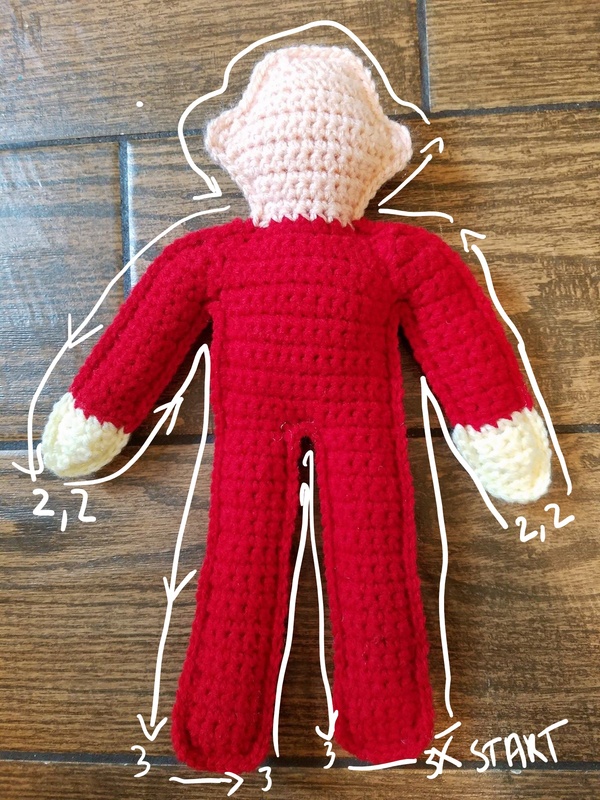 Second Ear: With the body positioned the same way as for the 1st ear, join the skin tone yarn with a sl st in the end of 8th row counting up from the body where you began the head. This is just ABOVE the widest point of the head. Rows 1-2: Repeat as for first ear. 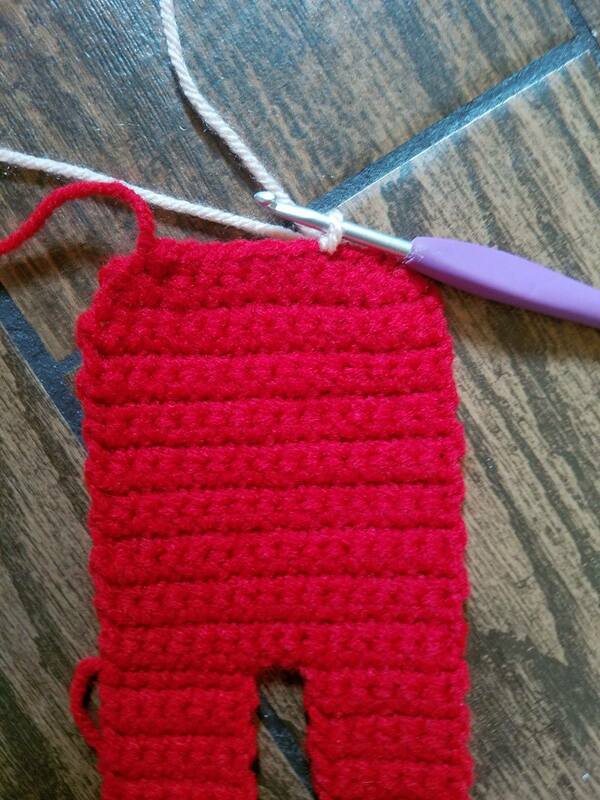 Ch 1 at beg of rows does not count as a stitch. 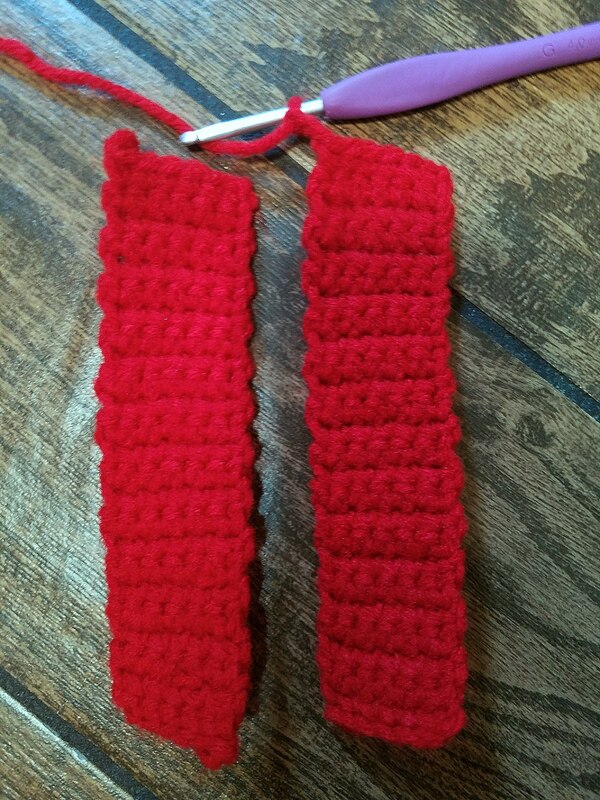 Using the long beginning tail you left, stitch one arm to either side of both body panels. Be sure that his gloves are under his sleeve. I stitched 6 sts of the arm to the body and used the tail to pull the top of the shoulder into the body to give it a rounded seamless look as if the arms were actually emerging from the body. 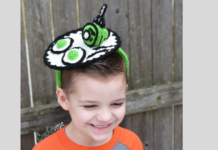 You want to really strategically use the weaving end of the yarn to round the shoulders into the body, do not be afraid to mold and shape with the sewing! Position as shown in the photo below, laying the two panels on top of each other matching the position of arms and ears. Be sure the ridge at the wrist for the gloves is facing out on both pieces. Using your hook, gently add some stuffing into the limbs, head, and body as you complete this join round. No ends to weave?! On these dolls, I knot my tails a few times around, and tuck them inside the body as I work. It is a lot of “knotty, tucky, stuffy” activity, but I prefer it for the ragdolls! Row 1: Working through both panels throughout, sc in each sc at end of rows around, working 3 sc in each corner to round them slightly (shown on photo with a “3”). 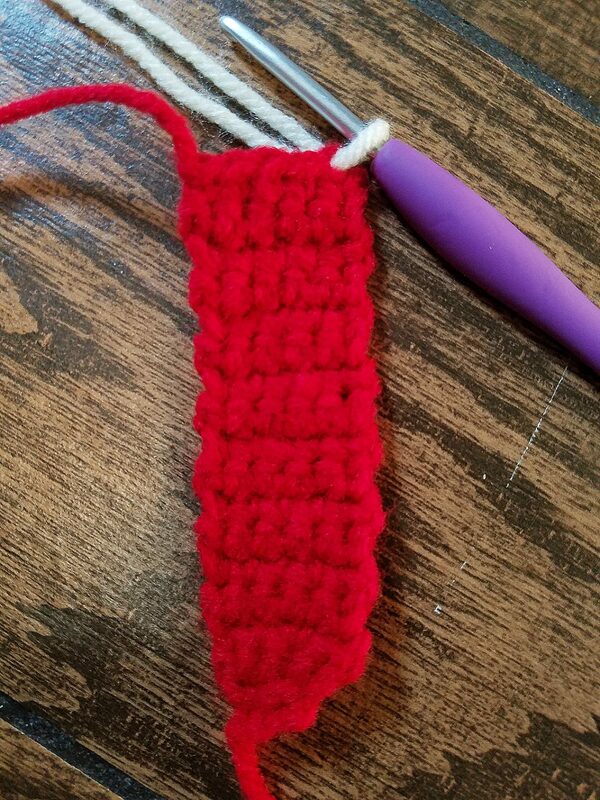 When you reach the stitch just PRIOR to the gloves, change to white and work the final yarn over pull through with the white, then work around the glove. (I worked 2 sc in each of the sc at the tip of the gloves, shown with “2,2” in the image) Then, in the same manner, change back to red to continue. 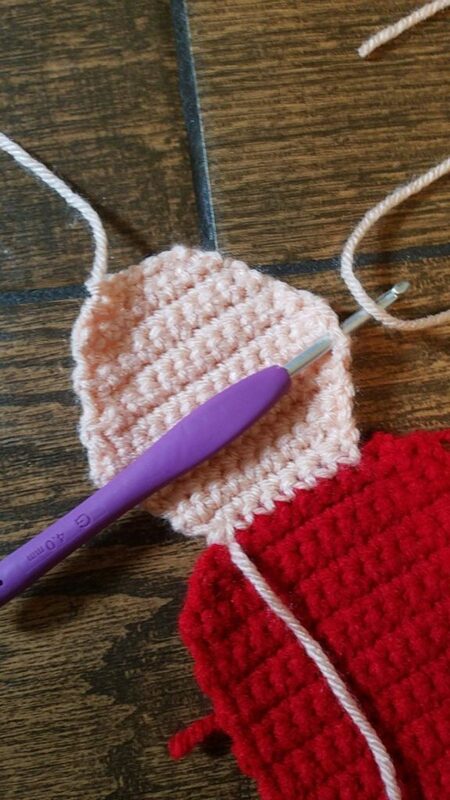 Do the same for the head, change to the skin tone at the final yarn over pull through of the stitch just prior to the 1st st of the head edging. Change colors around in the same manner. Sl st to the 1st st made. And that is it for Week One! 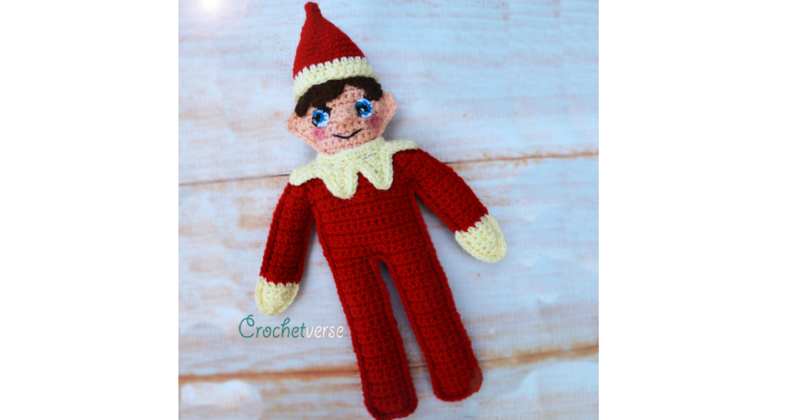 Next week, we will bring out Elf to life with all the special details! Next articleMy AllAboutAmi Cabled Hat!